In music, a coda comes at the end of a piece of music, summing up the preceding themes and bringing the piece to a satisfactory close. In life, Coda Alliance is a community-based, not-for-profit organization with a similar purpose, helping individuals and their families plan and prepare for the concluding passages of life. promotes advance discussion of end-of-life care with families and healthcare providers. works to help community members learn about end-of-life care options and discuss their values and goals with their family and healthcare providers prior to the onset of serious illness. fosters collaboration among community groups, healthcare providers and healthcare institutions to overcome barriers to superb end-of-life care for community members. Click here to visit the Coda Alliance web site. Please consider making a donation to support the work of the Coda Alliance. Although we believe that death and dying are a natural part of the life cycle, we know that our society generally avoids talking about it until it becomes a crisis situation. We also believe that education can help reduce fear and avoidance of the subject and provide the opportunity for meaningful discussion so end of life wishes can be known and honored by surviving loved ones. 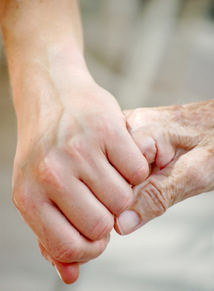 We believe everyone should be able to experience comfort, dignity and meaning at the end of their life. Quality end of life care includes the medical, emotional, social, and spiritual needs of the dying person and support for the needs of the family members. Individuals and their loved ones have the right to know all the options available to them before they make end of life decisions. These options include, but are not limited to, benefits and burdens of various treatment options, hospice care, the right to refuse a variety of treatments, withdrawal of treatment, and comfort measures. We encourage conversations, before a crisis, so family members can be better prepared and feel that the patient's life came to an end in a way that honored their values and goals. We respect that various cultures and faiths address death and dying differently and do not promote a "one size fits all" philosophy. We will work collaboratively to partner with the various care giving segments of our community including healthcare practitioners and institutions, hospices, faith based organizations, and many others. We believe that an informed public will demand systems changes in our healthcare institutions, insurance carriers, and related legislation and financial priorities. We are seeking leaders. If you are interested, please contact Coda Alliance at 408-267-3922. Provide general oversight of Coalition activities and governance. Regularly attend Coda Board meetings. Promptly review and respond to Coalition communications. Publicly support the Coalition and may be listed on Coalition literature. Communicate with members or constituents of their organization about Coalition activities. Go Wish was developed by Coda Alliance, made possible in part by a grant from the Archstone Foundation. The Go Wish web site, and online game playing, was created by Reach And Teach, the Peace and Social Justice Learning Company. The site was designed by the Design Action Collective and the game voiceovers were recorded by Alex Verde.